If you liked 10 Interesting Facts About Napoleon Bonaparte, you might enjoy these interesting facts about Napoleon’s family. The Espousal of Jérôme Bonaparte and Catharina of Württemberg, by Jean-Baptiste Regnault, 1807. 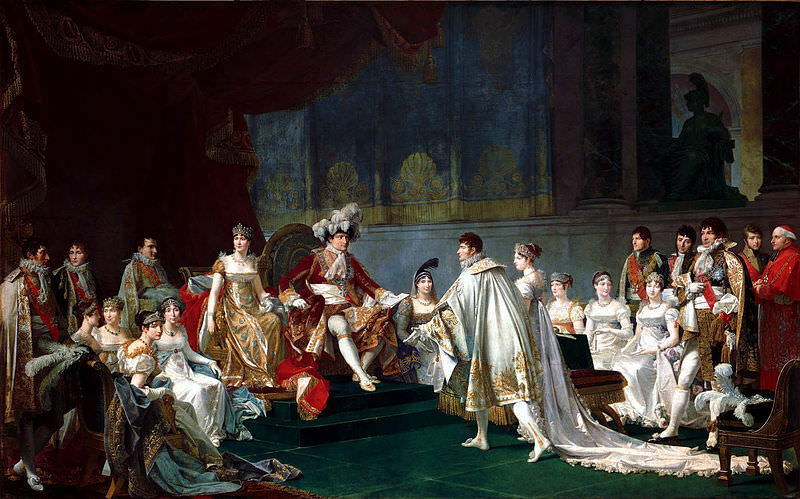 This painting depicts most of Napoleon’s family (Lucien is absent). 1. Letizia was a child bride. Napoleon’s mother Letizia married Napoleon’s father Carlo Buonaparte on June 2, 1764, when she was only 13 years old (Carlo was 18). At the age of 14, Letizia gave birth to their first child, a son who died in infancy. 2. Joseph lived in the United States. Napoleon’s older brother Joseph fled to the United States after Napoleon’s 1815 defeat. He rented a house in Philadelphia and bought an estate called Point Breeze in Bordentown, New Jersey. His mansion was said to be the most impressive house in the United States after the White House. He also owned land in northern New York State around what is now called Lake Bonaparte (Joseph named it Lake Diana). Joseph returned to Europe in 1832, but lived in the United States again in 1835-36 and 1837-39. 3. Lucien was a British prisoner-of-war. In 1810, while attempting to sail from Italy to the United States, Napoleon’s younger brother Lucien and his family and servants were captured by the British. They were allowed to live comfortably on parole at Ludlow in Shropshire, and later at Thorngrove mansion in Grimley, Worcestershire. Lucien became a local celebrity, much like the French Bourbons who were also living in England at the time. Lucien and his family were released in 1814, when Napoleon was exiled to Elba. They moved to Rome. 4. Elisa was Paganini’s patron. In 1807, Napoleon’s sister Elisa, Princess of Lucca and Piombino, appointed the Italian violin virtuoso and composer Niccolò Paganini as court violinist, conductor and captain of the gendarmes. Paganini gave violin lessons to Elisa’s husband Felice Bacciochi. He was also reportedly Elisa’s lover. When Elisa became Grand Duchess of Tuscany in 1809, she moved the court to Florence. Paganini left abruptly in early 1813, after showing up one evening to conduct the court orchestra wearing his brilliant captain’s uniform. When Elisa ordered him to change into an ordinary dress suit. Paganini refused. He finished the concert, paraded around the room a few times, and then left in a carriage for Milan. He never returned to Elisa’s court, despite her attempts to recall him. 5. Louis wrote a romance novel. 6. Pauline had a son. With her first husband Victoire Leclerc, Napoleon’s sister Pauline had a son in Milan on April 20, 1798. Napoleon, the boy’s godfather, named him Dermide after a character in his favourite epic, The Poems of Ossian. Pauline and Dermide accompanied Leclerc to Saint-Domingue (Haiti), where the latter died of yellow fever in 1802. In 1803 Pauline married Prince Camillo Borghese, a wealthy Roman nobleman. Pauline’s health was troubling her, so Borghese suggested that they visit the baths of Pisa. Pauline wanted to bring Dermide, but her husband advised against it. Instead the six-year-old stayed with Borghese’s brother. On August 14, 1804, in Pauline’s absence, Dermide died of fever and convulsions. Borghese at first tried to hide the news from his wife. When she found out, Pauline blamed Borghese for Dermide’s death. She called him “the butcher of my son.” (3) Pauline began to live separately from her husband. The two did not reconcile until shortly before Pauline’s death in 1825. 7. Caroline was Metternich’s lover. Though Pauline is often noted for her love affairs, Napoleon’s youngest sister Caroline – the wife of General Joachim Murat – was also generous with her favours. In 1806 she began a dalliance with Clemens von Metternich, then Austrian ambassador to France. Neither cared deeply for the other. 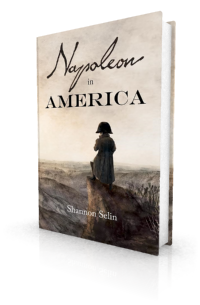 Metternich hoped to gain inside information about Napoleon, and Napoleon’s ministers wanted Caroline to pass along secrets about the Austrians. Caroline was, however, jealous by nature, and when Metternich later took up with Laure Junot, the wife of General Jean-Andoche Junot (another one of Caroline’s lovers), Caroline made sure General Junot found out about it. In 1813, Caroline resumed her liaison with Metternich, who was then Austrian foreign minister. Metternich arranged for the Murats to remain as King and Queen of Naples in exchange for Caroline’s betrayal of Napoleon to Austria. In 1815, after Napoleon was defeated and Murat was executed, Metternich tried unsuccessfully to obtain permission for Caroline to settle in Rome near her mother and siblings. When this failed, he ensured she could live in the castle of Frohsdorf, south of Vienna. 8. Jérôme’s wife lived into the 20th century. In 1805, Napoleon made his youngest brother Jérôme end his brief marriage to the American Elizabeth (Betsy) Patterson and instead marry Princess Catharina of Württemberg. After Catharina’s death in 1835, Jérôme took up with a rich Italian widow named Justine (Giustina) Bartolini-Baldelli (maiden name Pecori-Suárez), who could conveniently pay off his many debts. They wed secretly in Florence in 1840. Jérôme was 56. Giustina was 29. At Jérôme’s insistence, it was a morganatic marriage, which meant his title and privileges as Prince of Montfort – granted by Catharina’s father – and his claims as a Bonaparte would not extend to Giustina or any children (they never had any). In 1847 they moved to France, where Jérôme’s nephew Louis Napoleon (the son of Louis) became President and later Napoleon III. Jérôme took a mistress and sent Giustina back to Florence, accusing her of adultery. After Jérôme’s death in 1860, Napoleon III granted Giustina a pension. She died in Florence on January 30, 1903, at the age of 91, having outlived all of Napoleon’s siblings, their spouses, and their children, with the sole exception of Jérôme’s and Catharina’s daughter Mathilde, who died on January 2, 1904, at the age of 83. 9. Marie Louise was good at pool. 10. Napoleon’s son was related to the Bourbons. Louis Buonaparte, Maria; Or, The Hollanders, Vol. I (Boston, 1815), pp. ix-x. Neil Campbell, Napoleon at Fontainebleau and Elba (London, 1869), p. 278. Flora Fraser, Venus of Empire: The Life of Pauline Bonaparte (London, 2009), p. 119. Hello Shannon. I really enjoyed this article, as I find Napoleon’s family very interesting. I still have to read Louis’ novel. I did read some of his poems. Some of them are also dedicated to Holland. Thanks, Pim. Glad you liked it. 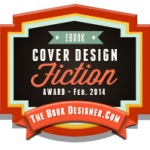 I still have to read Louis’ novel too! I had no idea Napoleon’s younger brother Lucien and team were captured by the British. They must have been fairly famous when they lived in Shropshire and in Worcestershire, at least until Napoleon was exiled to Elba in 1814. The reason I think this is important is because British historians and French historians still vigorously differ on anti-Napoleon sentiment. French critics are not pleased to read posts or lectures on how the British were anxious about Napoleon. They did attract a lot of attention, Hels. Barney Rolfe-Smith, who has written a book about Lucien’s time in England, says, “A modern analogy might be to imagine the reaction and interest if Hitler’s brother had come to live in England with his family during World War Two” (see https://www.shropshirestar.com/news/2012/12/10/napoleons-brother-snared-in-shropshire/). Lucien tended to be regarded favourably because the British knew he was alienated from Napoleon and wanted nothing to do with the Empire. Carlo Buonaparte seems to have been a good guy, but a very ordinary person. Thus Letizia must have carried some kind of fire. One could probably make a fine movie about her persona, her culture, and her life. That’s a great idea, Addison. Letizia’s life would make a wonderful movie. Thanks for this it was really helpful for my history Project on Napoleon!!! You’re welcome, Danny. I’m glad the Napoleon facts were useful! Marie Louise was a first-rate billiard-player. She beat all the men.